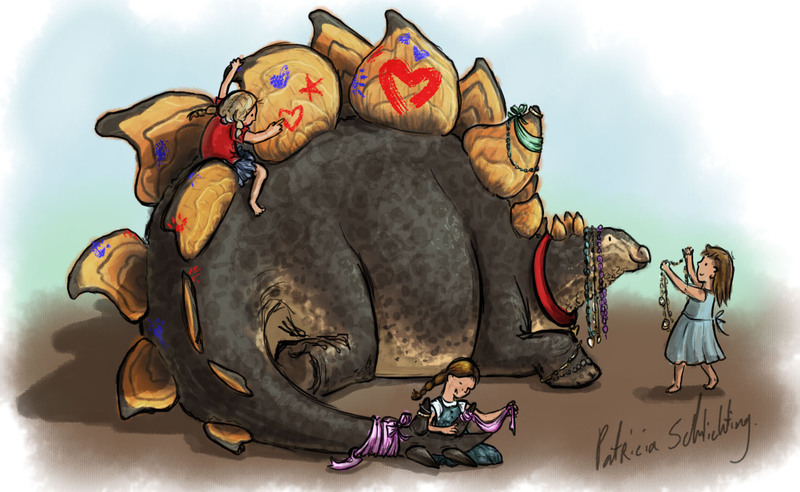 Imagine a world where our childhood dreams of owning a pet dinosaur could be real. A place where any kid could go to the pet store and choose their very own brontosaurus or T-rex. I am currently writing the first book of a series, which looks through the eyes of children as they go to the shop to see all the dinosaurs and other prehistoric critters available at the shop. Which critter will they bring home today? A long-necked giant? A sharp-toothed guardian to scare away monsters in the closet? The pet they bring home may surprise you. If you could choose any dinosaur or other prehistoric critter as a pet, what would it be? I would love to see your answer in the comments! Me? I think a stegosaurus like the picture up there would be awesome. Steggy’s always been one of my favorites.